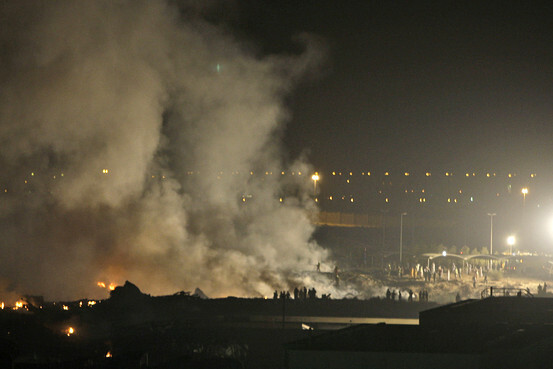 On 3 September 2010, a UPS Boeing 747-400 crashed close to Dubai airport, killing Doug Lampe and Matthew Bell, captain and first officer on board of the plane. Right after the departure from the Dubai International airport, the crew reported smoke in the cockpit and declared an emergency. The pilots returned to Dubai, where they attempted a landing, which failed because the airplane was too high on the approach. Shortly after, radar contact was lost. The airplane crashed in an unpopulated area between the Emirates Road and Al Ain Highway. On April 3 by the Dubai government’s Civil Aviation Authority released a report, which revealed that the cargo plane was transporting lithium batteries. The batteries have not been declared as hazardous cargo, as they would have been, given their flammability. According to the report, the crew ran out of emergency oxygen, and the cockpit became so full of smoke that the crew was unable to see the flight instruments or change radio frequency. The cause of the accident has not been determined yet. We asked Dr. Judith Jeevarajan, Battery Group Lead for Safety and Advanced Technology at NASA-JSC and IAASS fellow, to comment the safety of lithium battery, given their widespread use in space technology. Space Safety Magazine: Which are the advantages of lithium batteries? Judith Jeevarajan: The advantages of lithium based batteries are the very high energy density. Lithium-based rechargeable batteries, typically referred to as lithium-ion batteries, are the state-of- the-art battery chemistry that has the highest energy density of rechargeable batteries, has no memory effect, has good rate capability and has the highest performance efficiency. 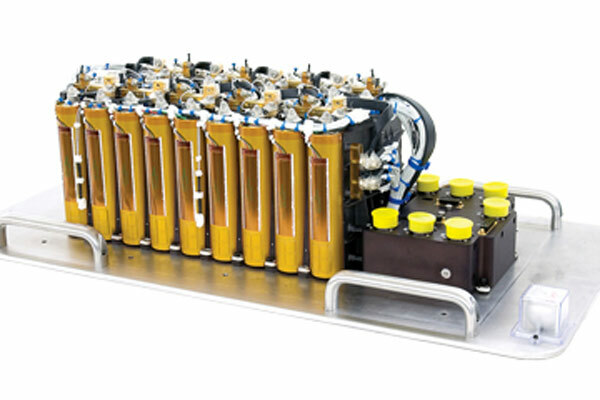 High energy density leads to lighter batteries and longer performance times. The lithium-ion battery chemistry has been used in the past decade for long term satellite applications of the LEO and GEO types also and has just been initiated into the electric and hybrid electric vehicles. SSM: Which are the safety concerns? JJ: The high energy density also indicates that there is much higher energy inside a small volume. The other factor is the use of a flammable electrolyte in the lithium-ion batteries. The combination of high energy and a flammable electrolyte causes the cells to burn until all the electrolyte is used up. The lithium-ion batteries can experience fires and thermal runaway under off-nominal unsafe conditions. Lithium-ion batteries should always be used within the manufacturer’s specification. Overcharge is a major hazard with the lithium-ion battery chemistry. Another hazard associated with these is external and internal shorts. The former should be protected with external safety controls and the safety for the latter hazard comes from extremely high quality manufacturing processes. The last most catastrophic hazard is extreme temperatures. The high temperature environment is more hazardous since it causes breakdown of the electrodes as well as decomposition of electrolyte leading to a thermal runaway and fire. At very low temperatures (below manufacturer’s specification), the internal resistance of the cells could be so high that lithium deposition could occur easily leading to an internal short during the charging process resulting in a fire and/or thermal runaway. Lithium-ion batteries have an electrolyte that is only corrosive and does not pose any health hazards such as high toxicity. The salt used in the electrolyte is an irritant and hence they are categorized as an irritant and of a corrosive nature. SSM: Which precautions should be taken in handling? JJ: Lithium-ion batteries should always be used within the manufacturer’s specification. Dedicated chargers or charging protocols should be used as overcharge is one of the major hazards associated with lithium-ion batteries. Cell manufacturing processes should have very high quality control and have stringent screening processes in place. NASA-Johnson Space Center has developed methods to screen for internal shorts on all flight batteries. The batteries should be used in the appropriate thermal environment. 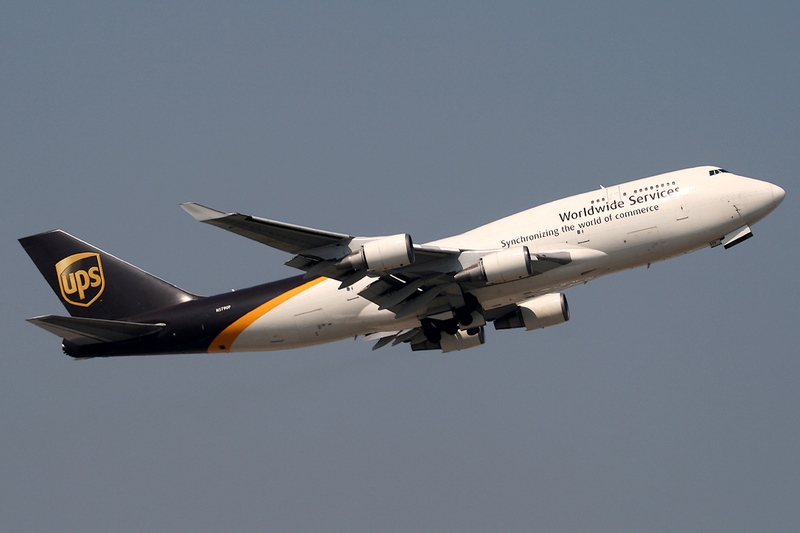 SSM: How their presence in 747 UPS flight may have affected the accident? JJ: The presence of a battery that has a flammable electrolyte that can burn at high temperatures will cause a battery fire until all the electrolyte in the batteries has been burnt up. SSM: How their use in space vehicles affect launch safety? JJ: If the batteries are to operate in a launch environment, then the batteries should be tested to the appropriate environment and launch loads with a margin to qualify the battery design to that environment. It is not only the vibration loads but also the operational loads that must be used to test the batteries to confirm their safe operation in the relevant environment. SSM: Is there any concern in reentry? should also be verified to not affect the integrity of the battery in any way. SSM: which lessons can be learned from this event? JJ: It is not clear if the batteries are a cause for the event. They probably only contributed to a bigger fire. Lithium-ion batteries do not go into flames when they are being transported in a benign condition. Other factors always contribute to their thermal runaway. One of the things that can happen is that the batteries were either not screened properly or were subjected to an off nominal condition before their transportation which was not recognized by the personnel testing or handling the batteries. If that occurs, then the batteries could be self-heating and undergo internal changes that could then result in a catastrophic event at a later stage when they get to a point where the hazard cannot be controlled any more. The batteries should also be packaged in the right manner with protection of the cell terminals and adequate physical separation between cells and batteries to prevent inadvertent shorting of the cells and batteries. Most incidents occur due to careless processes. Hence every caution and precaution should be used to confirm that the batteries are transported in the right packaging configuration. Dr. Judith Jeevarajan is a Senior Scientist at Energy Systems Division NASA-Johnson Space Center. She has worked on several battery projects using various battery chemistries and also represents the battery group at all the NASA safety panels, providing technical design and safety guidance for various projects including those with the International Partners. Batteries are designed and safety certified under her guidance and she was the first to certify and fly a lithium-ion commercial battery in a manned space environment. She is a member of the IEC/ANSI and UL Standards and Test Procedures Technical Working Groups and a member of the Electrochemical Society and International Association for the Advancement of Space Safety (IAASS). Dr. Jeevarajan has a M.S. from the University of Notre Dame, Indiana and a Ph.D. from the University of Alabama, Tuscaloosa, Alabama. Her graduate school work was focused on electrochemistry and her post graduate work focused on battery technology, both of which serves her well in strengthening her current job skills. She has made more than 70 presentations at conferences, has given invited lectures for several organizations, has served as session chair at prestigious conferences and has won many NASA awards including the prestigious Space Flight Awareness award.